Background:The recent Alzheimer Europe’s five country survey revealed public’s clear interest in pre-symptomatic diagnostic testing. The importance of promoting better access to diagnostic services in order to ensure that early diagnosis becomes a reality was stressed. 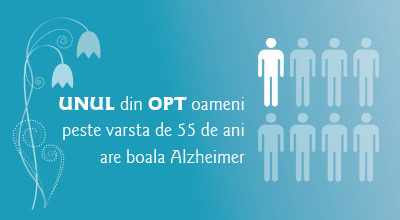 Last year Romanian Alzheimer’s Society launched a campaign to free memory testing in order to enhance public’s access to specialized services. The results of the first phase of this campaign are presented. Methods:The persons who have expressed their interest to participate were included in a two-stage evaluation procedure: preliminary screening was followed by the diagnostic evaluation of screen-positive persons. 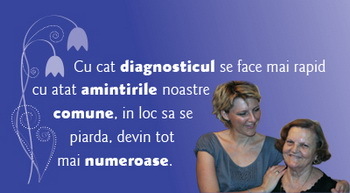 Romanian adaptation of the Addenbrooke’s Cognitive Examination- Revised (R-ACE-R) and Rey’s Auditory Verbal Learning Test (RAVLT) were applied for cognitive screening. Subjects’ scores on Mini Mental State Examination (MMSE) were derived using the R-ACE-R assessments. The persons who were considered screen-positive were evaluated by a comprehensive diagnostic assessment procedure. 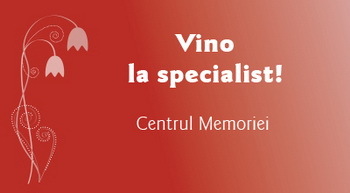 Results:Romanian public responded promptly and in large numbers to the campaign announcement. The results for a first group of 149 persons are reported here. Age range was large: 50 to 86 years, mean age 67.28 ± 8.98. Females prevailed (66%). Number of years of education ranged from 7 and 21 years, with an average of 14,26±2,55 years. Half of the persons graduated from university, 30.6% had worked in the economic field and 28.5% in the technical one. Almost a fifth ( 18.79%) had relatives with neurodegenerative pathology. About one third (31.5%) accused memory problems; 6% had been previously diagnosed with dementia and asked for confirmation of diagnosis. The scores on MMSE varied between 20 and 30 (mean 28.41± 2.12)}; 23.8% of the subjects had scores below the normative median values. On the R-ACE-R the scores ranged between 53 and 100 (mean = 91.31± 7.35); slightly more than a fifth of the subjects (22%) had overall scores slightly lower than their age-and education-appropriate normative values ( ≥ mean-1 s.d. ); a fifth of people had clearly abnormal scores (≤ m-2 s.d.) on this scale. On the RAVLT almost one third of the subjects were scored slightly below the normative values (≥ m-1s.d) and less than a fifth (17.2%) had abnormally low scores (≤m-2a.s.). 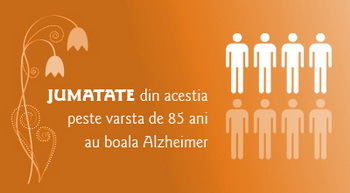 The 32 persons who had scores outside normal range on the screening scales were subsequently assessed using a comprehensive diagnostic procedure and the following diagnoses were established: dementia in 11 cases (34.4%), mild cognitive impairment in 11cases (34.4%), associated with depression in three of them, very mild cognitive impairment in 4 persons (12.5%), depression in 3 cases (9.4%). Conclusions:A significant public interest for cognitive testing and diagnostic assessment was observed. 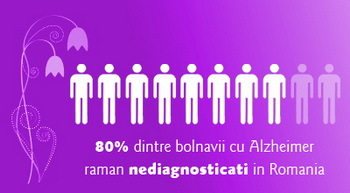 The Romanian Alzheimer’s Society Campaign of free memory testing and the two-stage assessment procedure proved their values for promoting a better access to diagnostic.